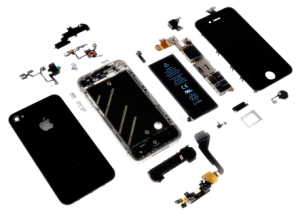 Smashed your stunning iPhone display and need a screen repair? iPD Service Centre is Sydney’s oldest and most trusted iPhone screen repair service centre, with thousands of happy customers nationwide. Whether it’s one iPhone or a corporate fleet, our highly skilled technicians are prepared for any task at hand. Most iPhone screen repairs are completed in around 30 minutes! For more information on our Apple screen replacement services, click here. We absolutely guarantee our screens are the highest quality available on the market. We pride ourselves on being the best and most established repairers in the industry, and provide the highest quality parts available. Our work and reviews speak for themselves. Pricing includes installation and 6 months warranty. For other iPhone repairs, please use our Quick Enquiry form or call our Chatswood repair centre on 02 9412 4368. Fastrack your screen replacement by booking a repair online. Simply follow the link below and select the required service.